From back-of-an-envelope list to flower-filled paradise - Brilliant and Wild: A Garden from Scratch in a Year gives even the most inexperienced gardener the chance to create a beautiful and wildlife-friendly outdoor space - from nothing - in just twelve months. Award-winning photographer, Jason Ingram, followed the author over the course of a year, as she created the garden shown in the book for her sister. This highly practical book provides new gardeners with step-by-step instructions on how to create a low-maintenance, wildlife-friendly perennial garden that will bloom within months and be fully established within a year. Jason Ingram is a celebrated photographer of gardens, plants, food and people. He also works with top international garden designer Dan Pearson on private projects. Jason won the Garden Media Guild Photographer of the Year Award in 2013 and 2014 and was Features Photographer of the Year in 2016. He lives in Bristol. "This charming book is aimed squarely at inexperienced gardeners with a modest budget who want quick results. Like all the best gardening books this one leaves you itching to get out in your own patch." "Anyone faced with a small, empty garden could design and plant their borders using just this book for guidance." "I approve of the way Lucy flags up flower shape and height as being key to a successful border...there's lots of information about individual plants...a useful 'flower calendar'...lovely photos by the brilliant garden photographer Jason Ingram really bring it all to life, too." "Feeling inspired by Chelsea Flower Show? 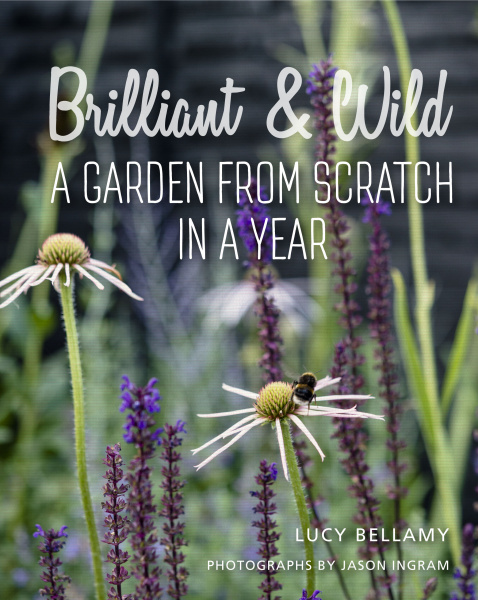 Novice gardeners can take heart with this new book that shows you how to create a beautiful and wildlife-friendly space in just twelve months." "An encouraging book, especially for the beginner." "A great practical manual for the novice gardener. A great guide to making an easy, low-maintenance, wildlife-friendly perennial garden." 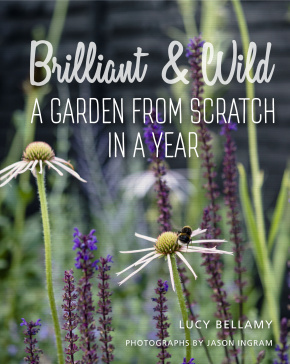 "Help is on hand from this delightful new book that gives a step-by-step guide on how to start from scratch and get your garden blooming within a year." "There’s a wealth of inspiration, practical guidance and passion for an environmentally sympathetic model of gardening that leaps off the pages and will have you skipping merrily down your own garden path, well on the way to constructing your own brilliant and wild garden, in no time at all. " "An infectious approach...Urban gardening has long ignored the nature around it, but even if one garden in every street adopted Bellamy's plan, our cities would be more buzzing and beautiful. Brilliant and Wild makes that seem enticingly possible." "Bellamy makes gardening simple, expressive and joyful. Anyone can do it cheaply and with little spare time." "Required reading...a simple guide for total beginners who want to achieve a wildlife friendly haven rich in color and form."